This week we are thrilled to introduce you to Courtney and Matt, the duo behind Our Handcrafted Hideaway. 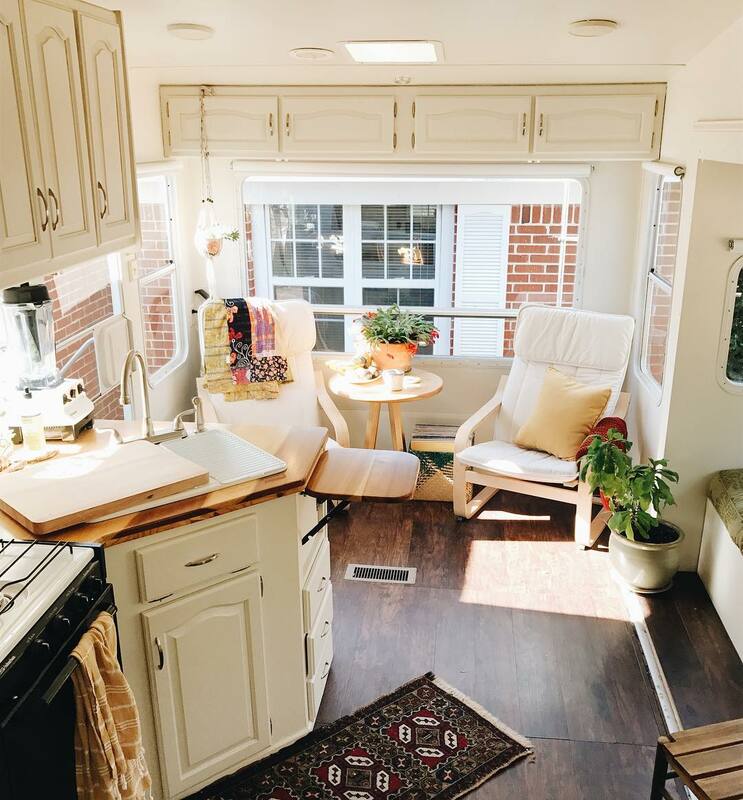 The couple renovated their RV last year and have been living out of the beautiful space ever since. 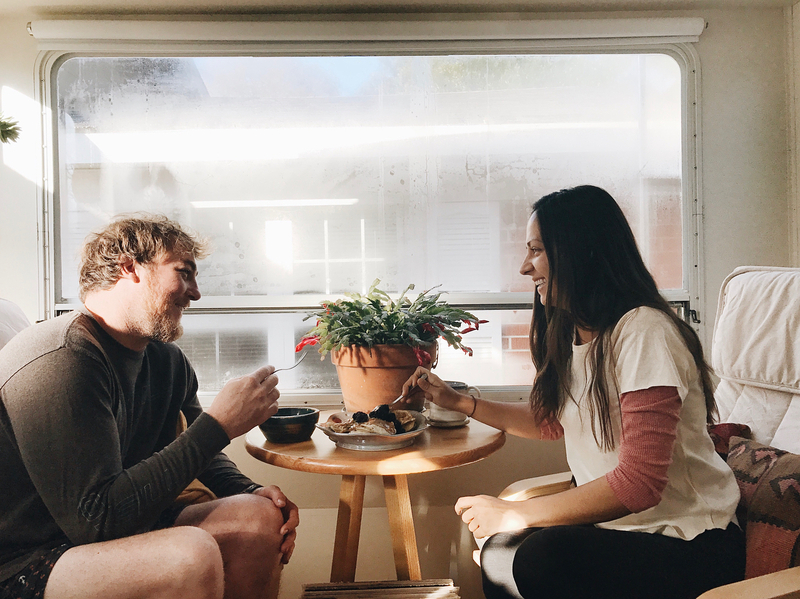 We interviewed the two to get their five tips on how to get the most out of your RV refrigerator space, as well as how they manage to reduce, reuse and recycle while living on the road! Check out their tips below. 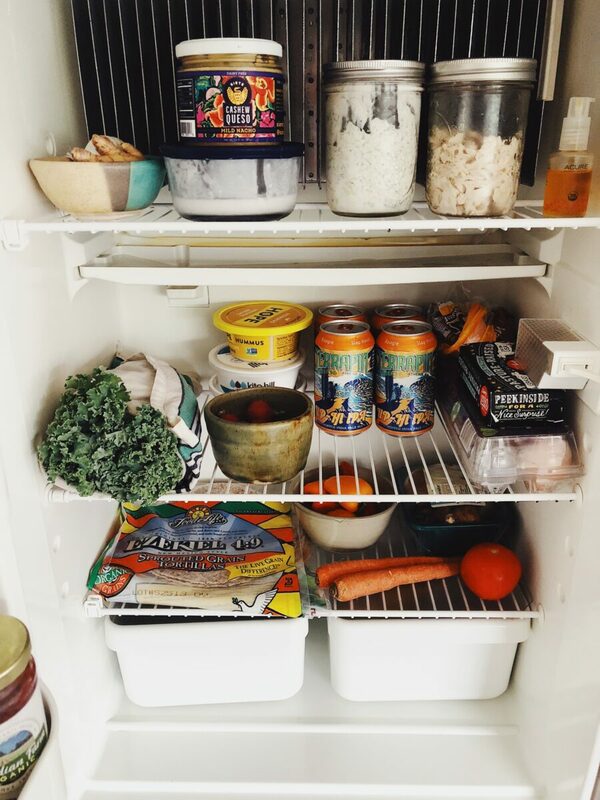 I like to have a meal or two figured out before I grocery shop to make sure I’m not grabbing too many unnecessary items that might take up fridge space. Roasted veggies with beans and rice is one of my favorites to make and the ingredients don’t take up much room. The meal can be made in so many different ways and we always have leftovers for lunch. Sometimes we throw in eggs for breakfast! I like to keep my meals healthy and simple by focusing on one recipe and branching out from there. This week I was craving tzatziki, so I bought those ingredients, bought some bell peppers to cut up and dip with the voila! The next day I made veggie wraps with the tzatziki and hummus and we still had enough left over for a salad. 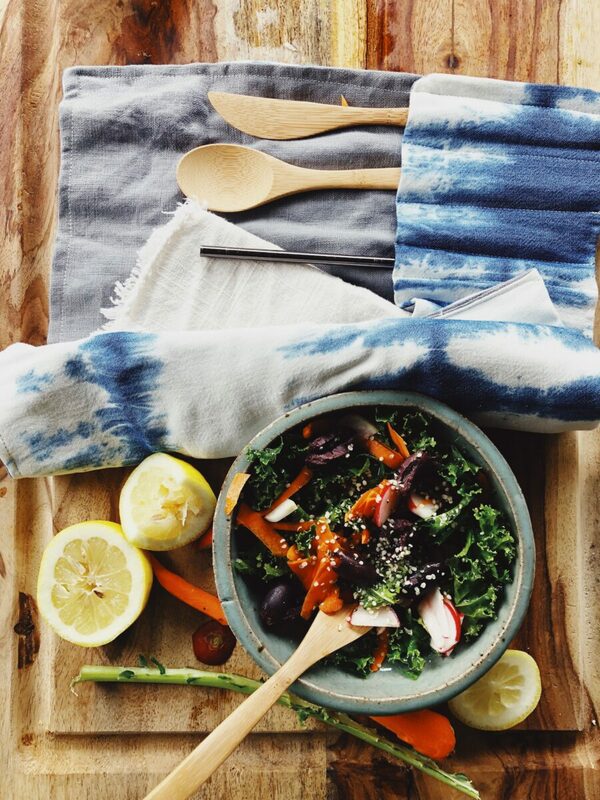 Using what you have made and re-purposing it for other meals all week long is a great way to save on space, money and making sure no food goes to waste. Throwing veggies and fruit scraps together in the blender is the easiest way to make a quick meal and free up some fridge space. My favorite soup is good ole’ tomato. I roast a few tomatoes, a bell pepper, 1/4 of a red onion and blend with basil, spices and water or broth. I leave it in a mason jar in the fridge, munch on it all week and it doesn’t take up any space. I’m a pretty neat person and I like keeping things tidy, so the same goes for my fridge space. When things get crowded, a little organization can go a long way. Keeping your fruit in one bowl is a great way to make extra room to ensure space for a six pack. Also, having a few sizes of tupperware is great so you’re not keeping a small amount of leftovers in a large container that takes up a bunch of space. It can be tricky trying to recycle while traveling, which is why we reduce as much as possible. We always have our own, reusable containers for drinks and dine in to avoid styrofoam or any kind of single-use dishes. When shopping, I try my best to buy things that are not prepackaged. My favorite place to shop is at farmers markets, which is one of the easiest places to find local, quality ingredients that are not excessively packaged. These days, farmers markets are pretty common. A quick google search can help you find one in your area! 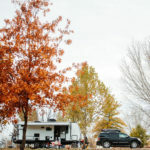 Are you RVing this winter? 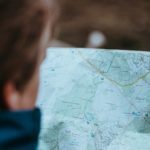 Let us know in the comment section below where you’ll be headed this month and be sure to check out our recent post on How To Prepare Your RV For Winter Travel. Hi Liz! 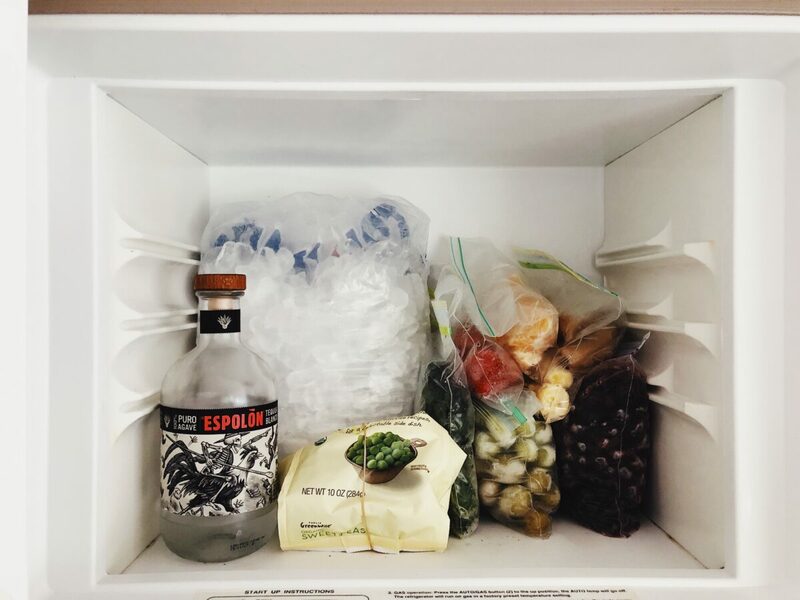 Your refrigerator should work the same in cold weather as it does any other time of the year. Be sure to check with your owners manual for any information on your specific unit! We hope you enjoy your travels! Sounds like a great time! Cheers! 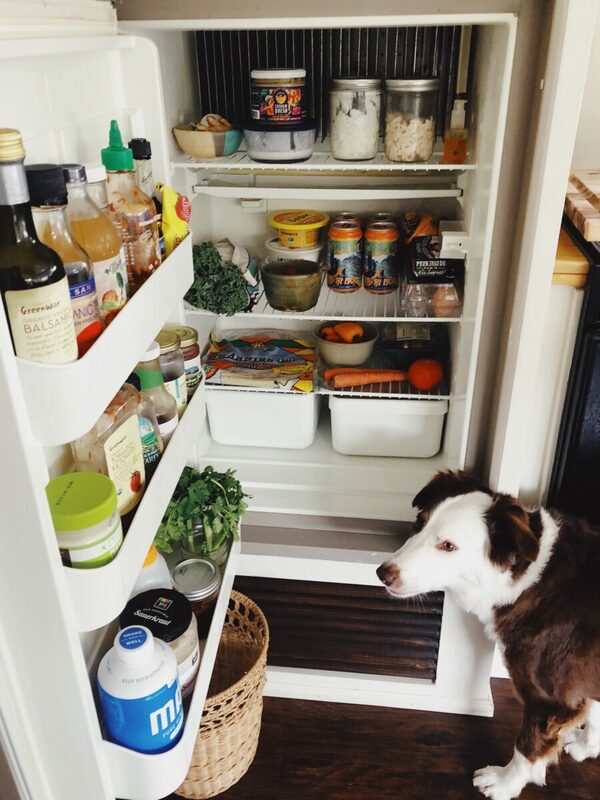 Hey Buddy!, I found this information for you: "5 Tips on How to Get the Most Out of Your RV Refrigerator Space". 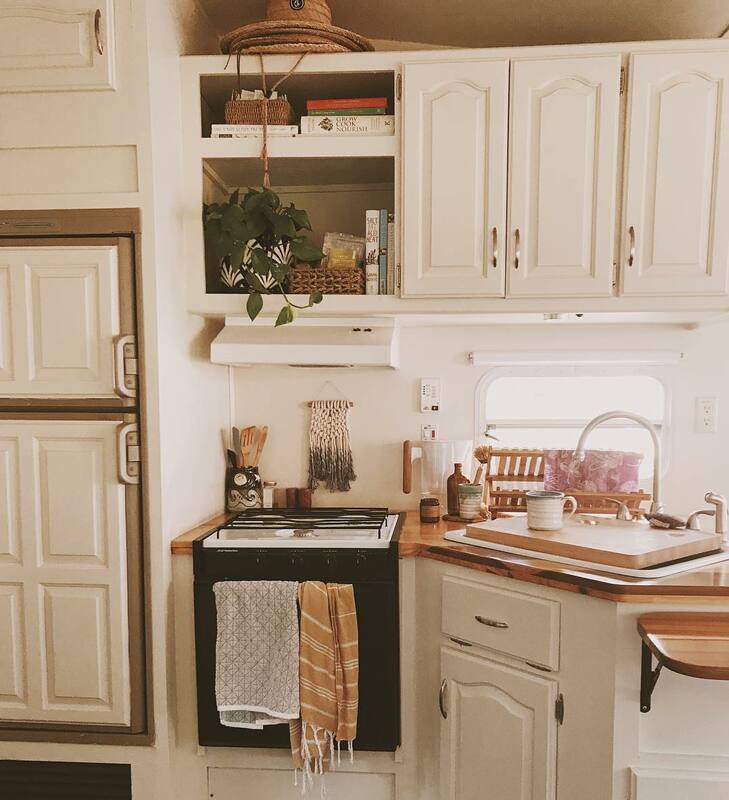 Here is the website link: https://experiencelife.lamesarv.com/2018/11/5-tips-on-how-to-get-the-most-out-of-your-rv-refrigerator-space/. Thank you.